Precision machining is now the core of machine shop operations. Precision machining is particularly utilized by industries that need a high level of accuracy and quality of their systems and components. The oilfield industry is among the giant industries that enjoy the benefits of precision machining. Computer numerical control (CNC) machines are the main components of precision machining. These innovations in manufacturing completely changed how industries functions. In this day where manufacturers are up against great competition, those who fail to utilize the latest cutting-edge technology find themselves getting left behind. Businesses are now eager to incorporate and take advantage of the benefits precision machining has to offer. Here are the key benefits of precision machining to the oilfield industry. As its name suggests, industries employ precision machining for precise, accurate and efficient production. 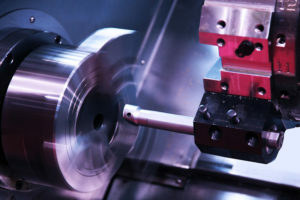 Through CNC machines, high-end tools and equipment use advanced software such as CAM (computer-aided manufacturing) or CAD (computer-aided design) to follow specified blueprints. Unlike a human workforce, CNC machines can produce components more precisely at a much faster pace. Even complicated parts can be manufactured faster with excellent consistency. The latest CNC machines also have quality assurance detectors built into the systems which immediately halt production upon detecting any (rare) case of error. For an industry that requires only the highest quality and precise components, the oilfield industry benefits from the application of precision machining in their operations. In manufacturing, wasted resources and lost materials mean higher production costs. With precision machining, manufacturers can make the most out of every raw material and reduce production errors, saving on costs in the process. Unlike in manual production, precision machining does not need to employ additional labor to work on large scale projects in a short period of time. CNC machines can work hours on end without needing a break. The efficiency of precision machining also means increased production speed while using the same equipment. At N&S Flame Spray, we have the latest CNC technology and equipment to meet the needs of the oilfield and pipeline industry. Accurate, precise, efficient and cost-effective production of oilfield industry components – that’s what we do best. Contact us now for your precision machined part needs!